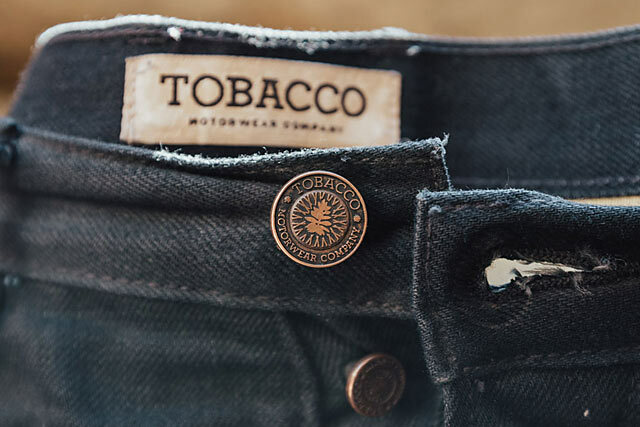 A self-proclaimed “Denim-Head”, Tobacco Motorwear founder David Ackerman was frustrated by a lot of the protective jeans on the market. (We’re pretty sure you know exactly what he means.) 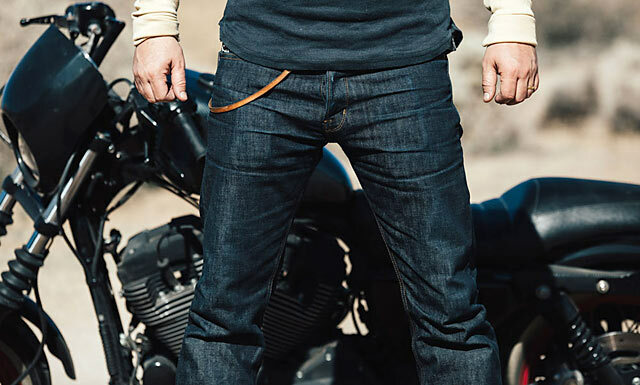 So he set out to design a premium quality riding jean that looks and feels like that go-to pair from your closet, while pulling double duty as a protective garment in the event of an unscheduled dismount. 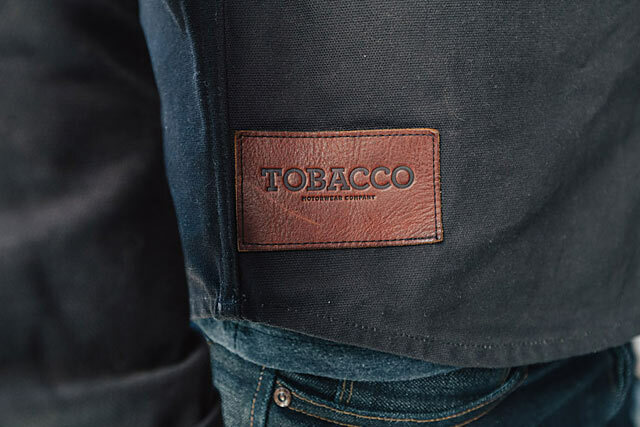 To begin with, Tobacco’s Motorcycle Jeans are made from rustic, raw, selvedge denim sourced and sewn locally in Los Angeles by master denim craftsmen, so you can tick that “Made in the USA” box. 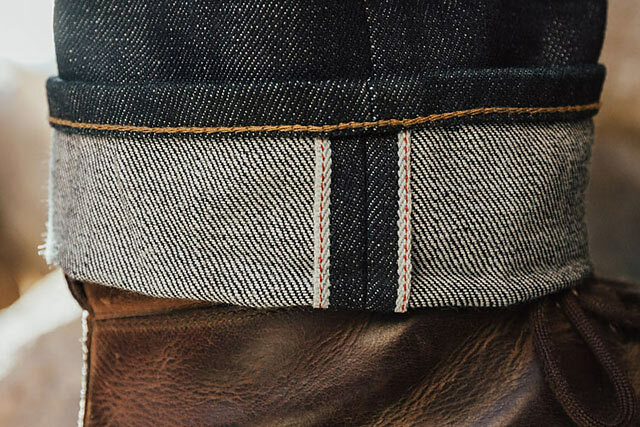 The skin saving Dupont Kevlar fiber lining is sewn directly into the natural seams of the jeans making them indistinguishable from regular jeans from the outside, while still protecting those sensitive bits that tend to get chewed up by the hot asphalt when things go sideways. 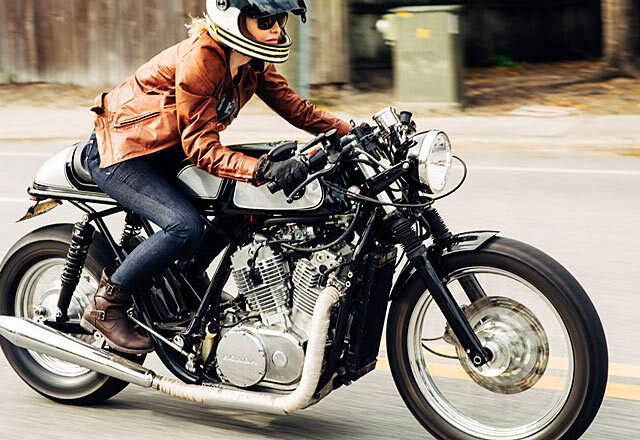 Pipeburn has followed the success of Tobacco Motorwear since being one of the first sites to share their original Kickstarter more than two years ago. (When a guy let’s himself be dragged behind a motorcycle just to prove a point, it gets your attention.) 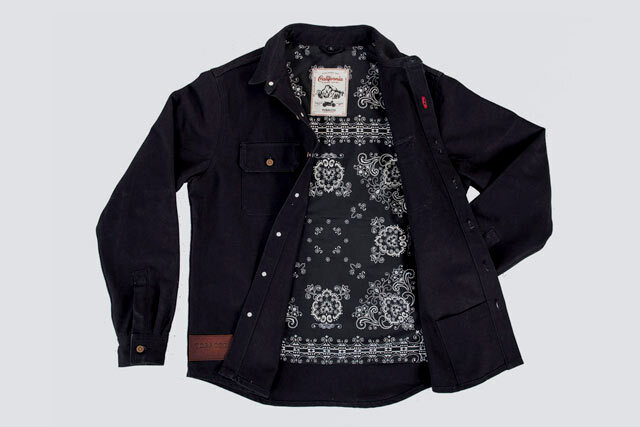 While they have become known mostly for their jeans, recently they introduced a new riding shirt which is a lovely addition to the range. 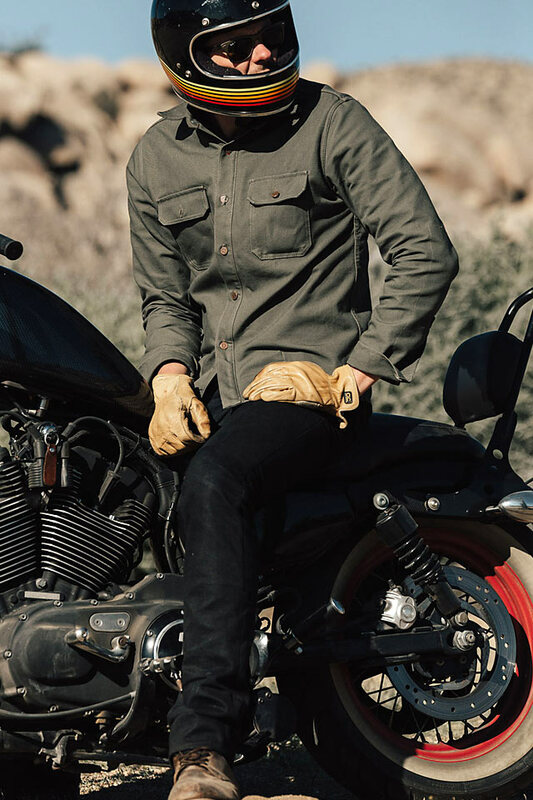 The minimalist California Riding Shirt provides riders with exceptional abrasion resistance while just looking damn good. We will let you know how it rides after we get our hands on one. 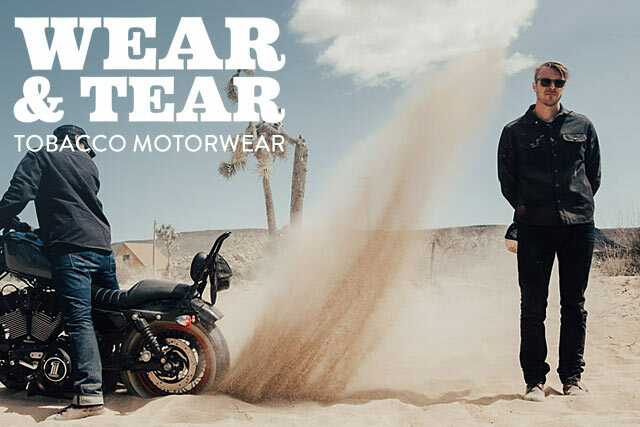 For you lady riders, Tobacco Motorwear also offers women’s motorcycle jeans.